Park your car up, you won’t need it here. You are in the heart of everything New Plymouth has to offer, the Scenic Coastal Walkway, Govett Brewster Art Gallery, Len Lye Centre, Pukeariki, Pukekura Park, Shopping, Restaurants and Cafes. As you enter you will be greeted by light, sunny airy spaces. Drop your bags cause you are about to explore a very special and unique penthouse. Split over two levels you are greeted with well-appointed spacious living areas, high quality kitchen, relaxed informal dining, quality bedrooms and bathrooms and breath-taking views from everywhere you look. Large glass doors opening up on to balconies on both levels where you will truly feel like you are on top of the world. 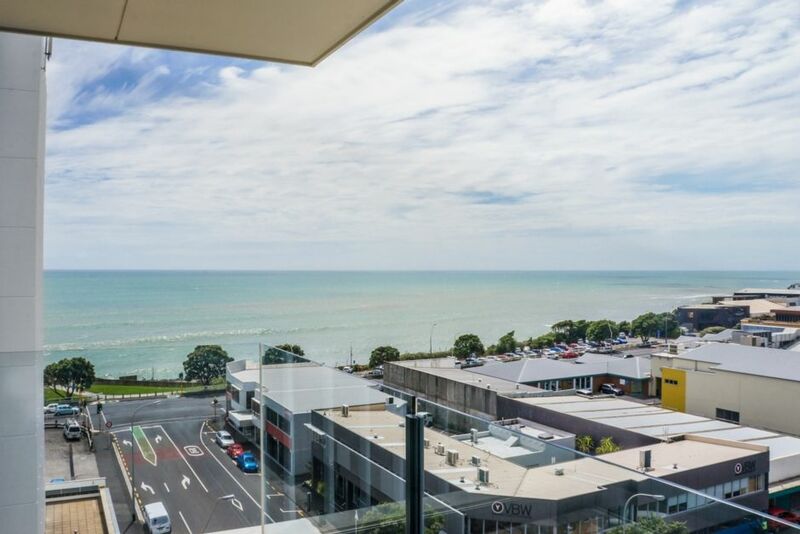 Soak up the stunning expansive New Plymouth coastal views, mixed with the city buzz vibe. This penthouse is truly in a class of its own. Added extras include two secure carparks, an in house gym for your morning workout, Sky TV and unlimited WIFI, the list goes on. I couldn’t think of a better place to base yourself while you experience everything New Plymouth has to offer. Large well appointed apartment, great views and very central location.